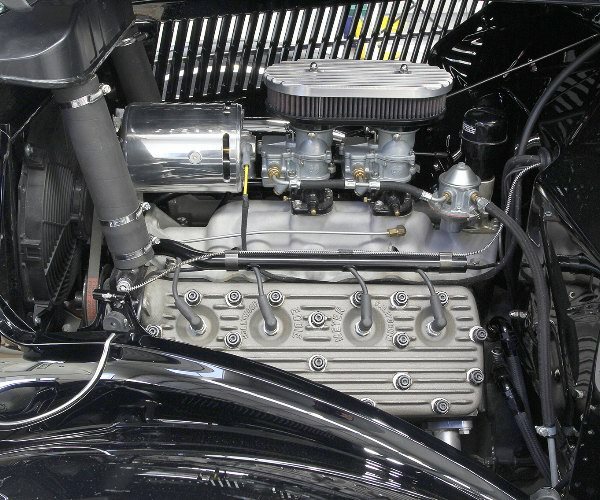 Ford Motor Company developed its side valve V8 to compliment the 4-cylinder engine in the Ford Model B. 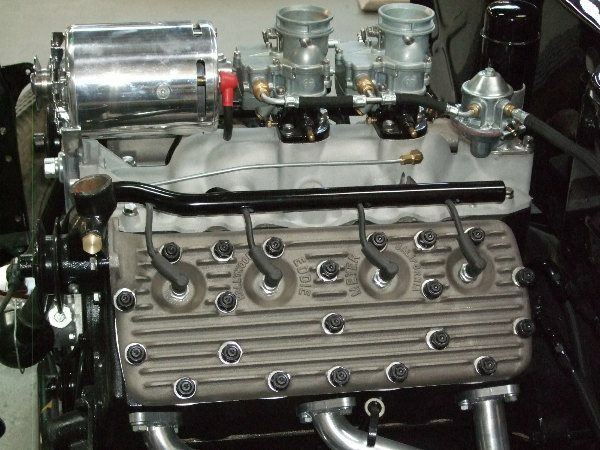 This engine was the first affordable V8 for the masses and was in production in one form or another for over three decades. 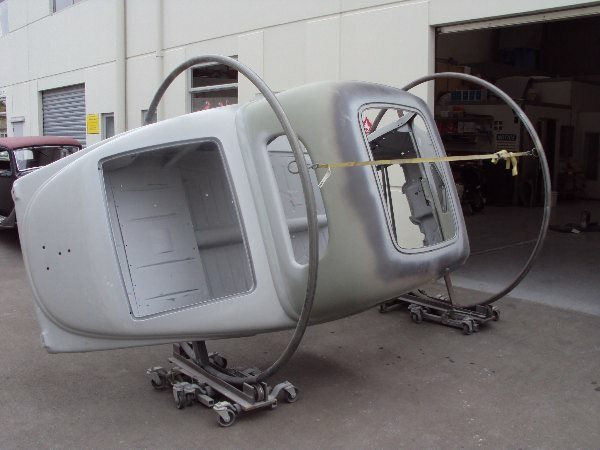 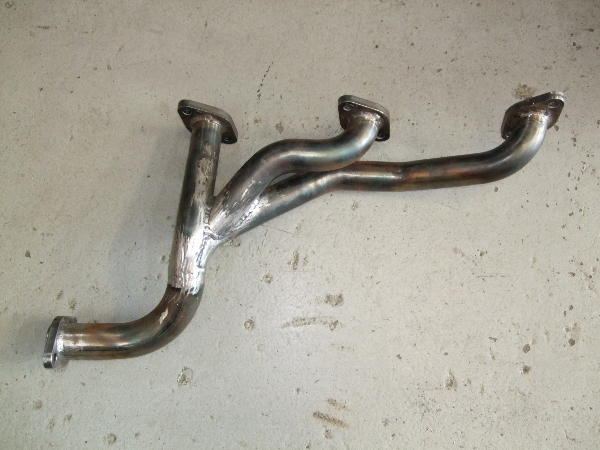 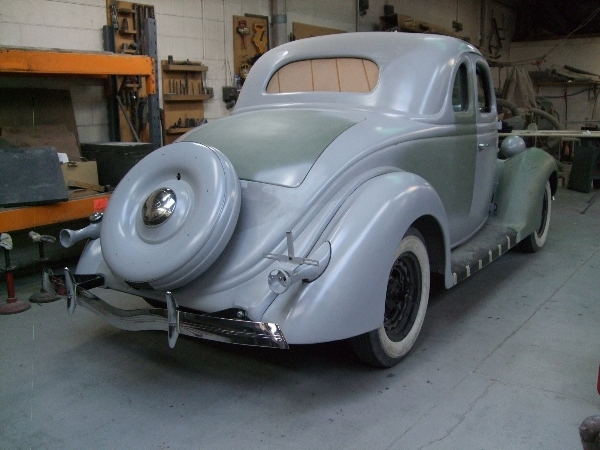 The 1935 model was the first upgrade of the original design. 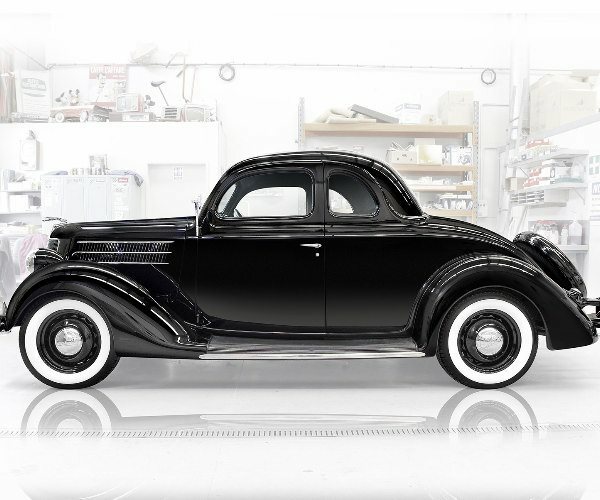 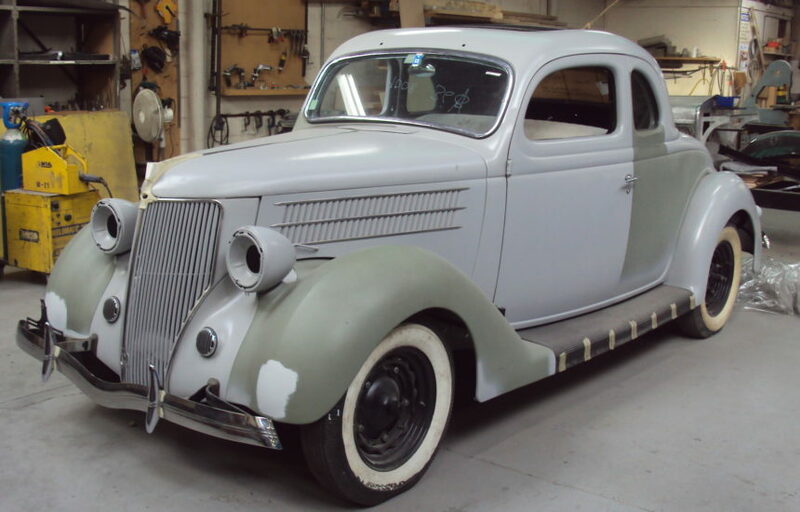 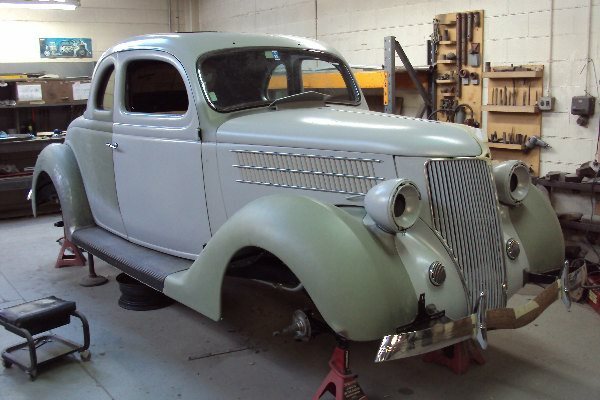 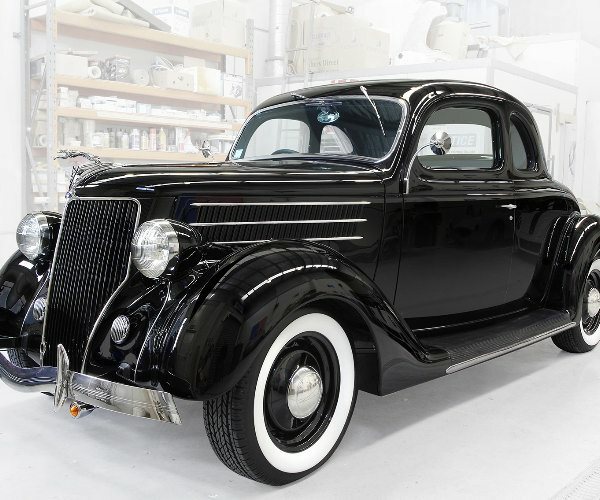 The 1936 model was a facelift of the 1935 model range with styling changes to give a more modern appearance. 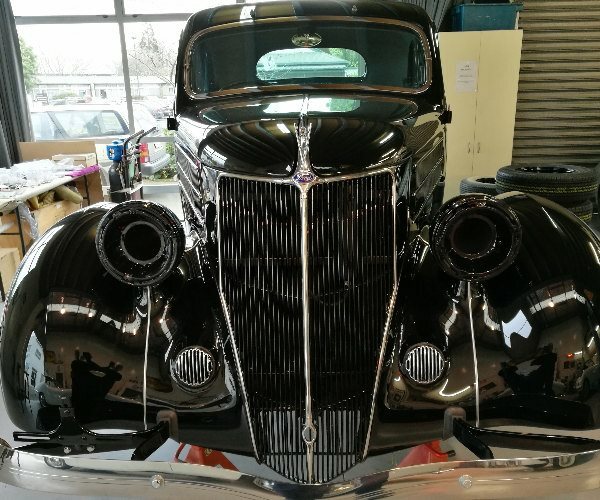 The grill was now more integrated with the bonnet and the horns were now hidden under chrome covers. 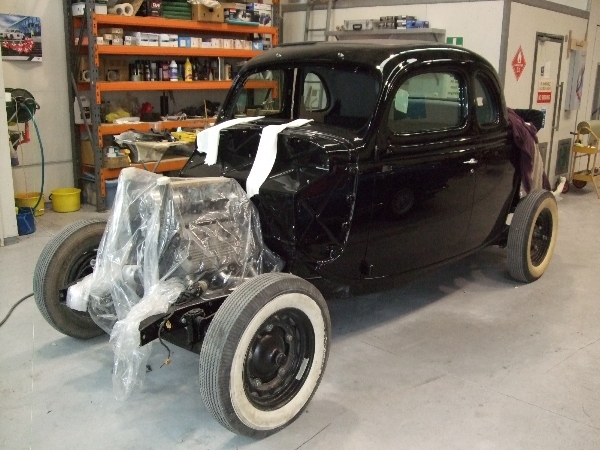 Ford had now also moved from spoked to pressed steel wheels. 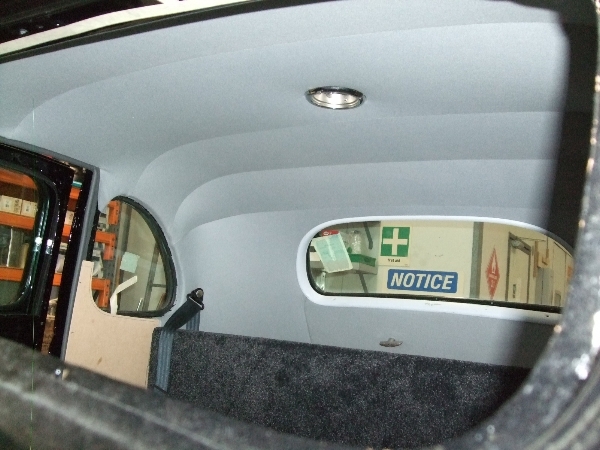 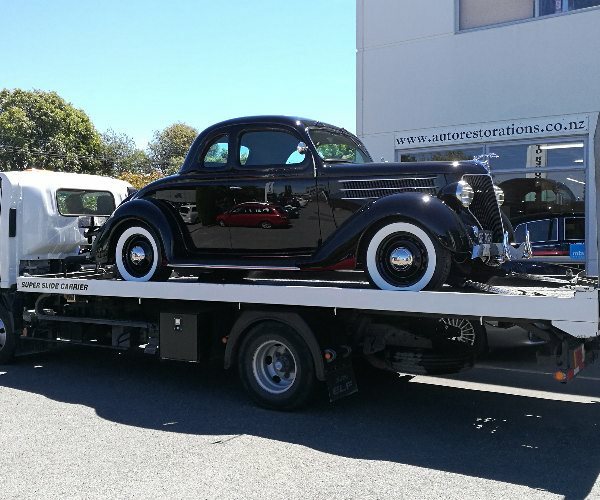 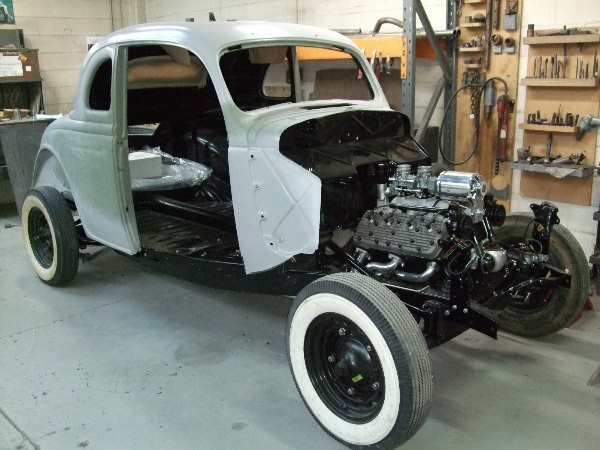 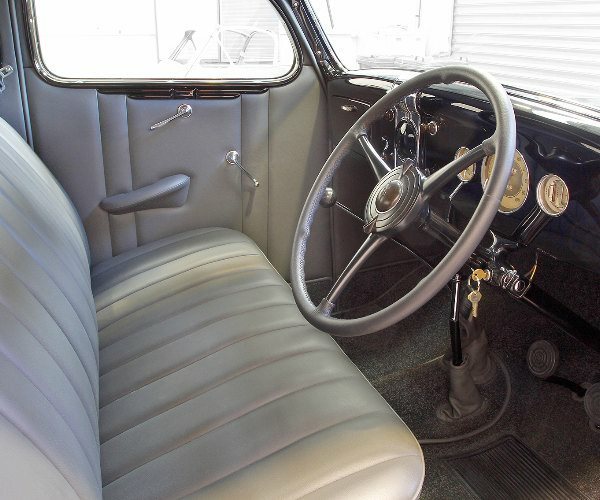 The 5 window Coupe was a very popular model and was used extensively by travelling salesman in there day as they have very generous amounts of storage space. 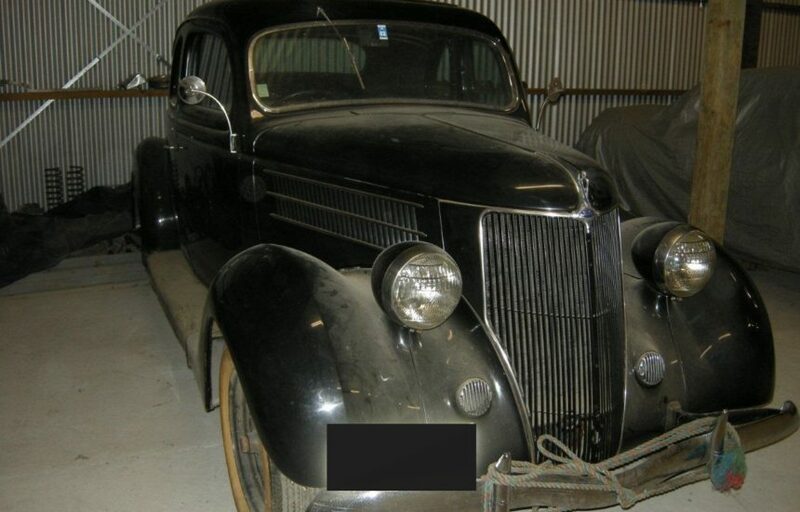 This car came to us in complete but rough condition. 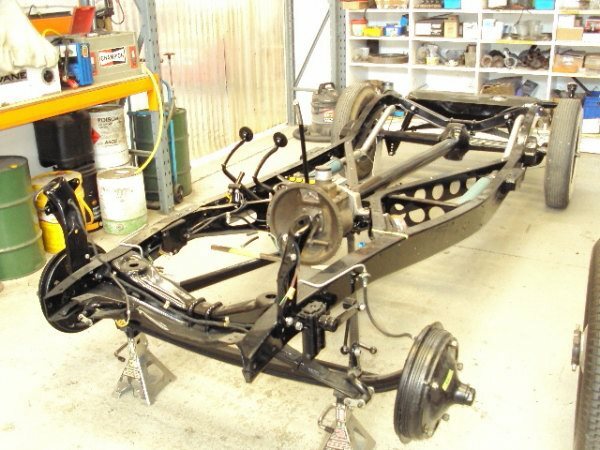 The brief was a good tidy up, a paint job and get it mechanically reliable, including sorting out an earlier hydraulic brake conversion. 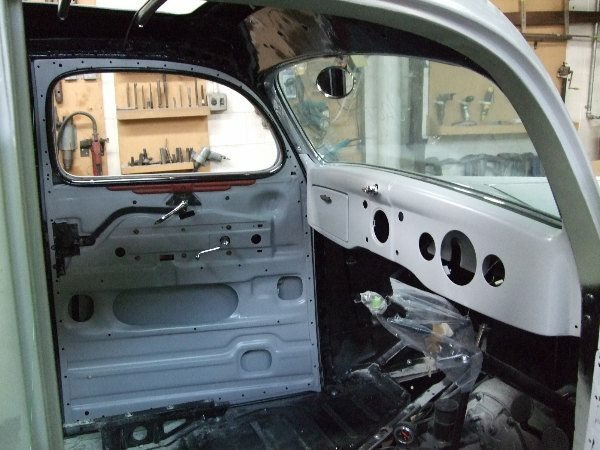 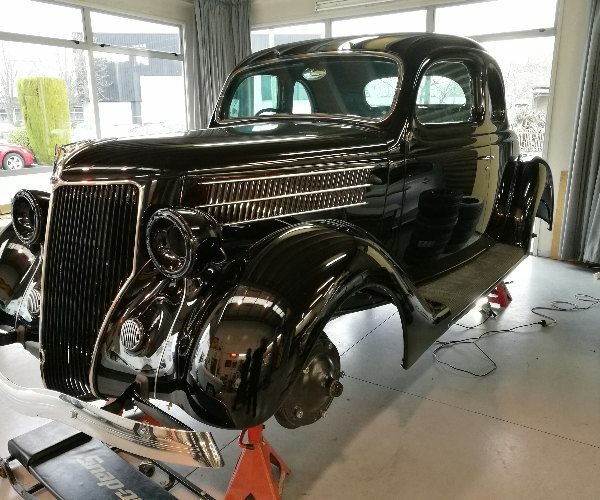 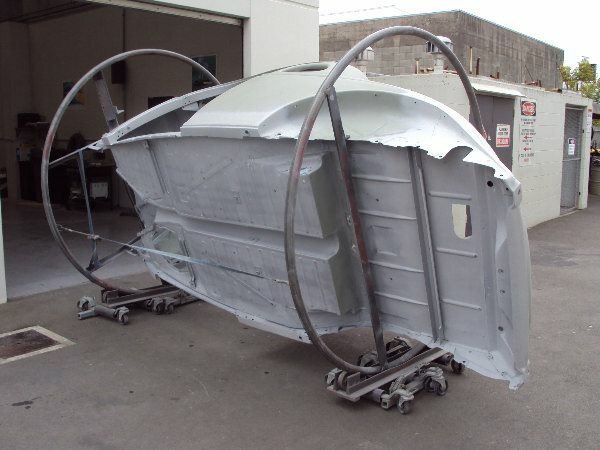 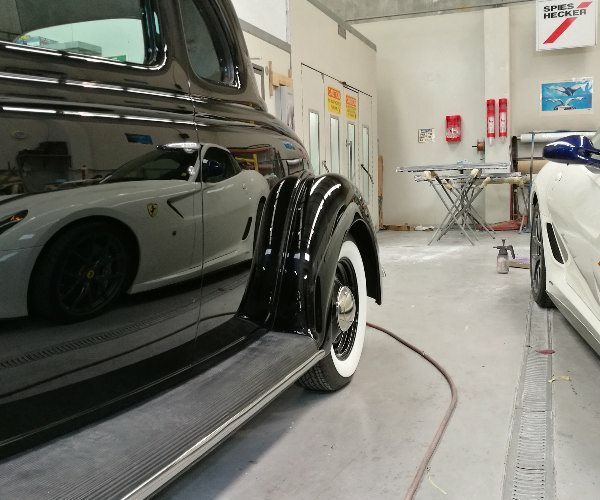 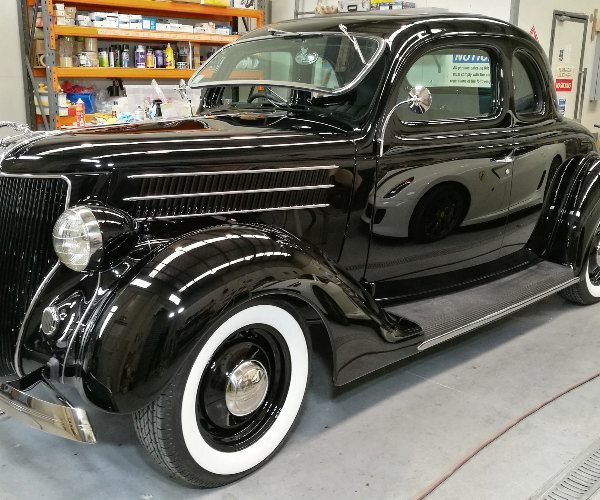 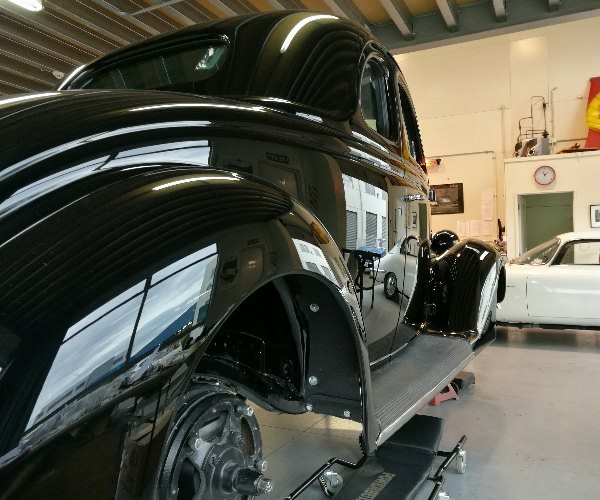 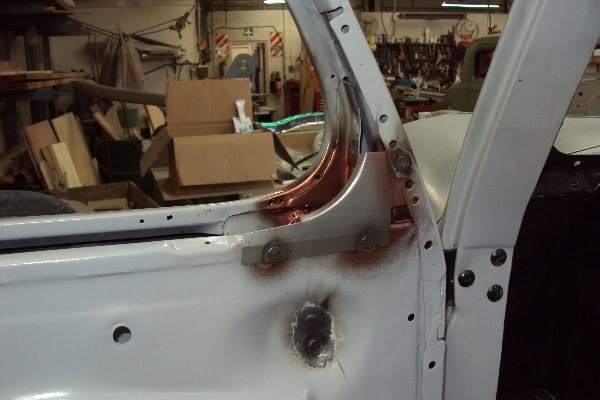 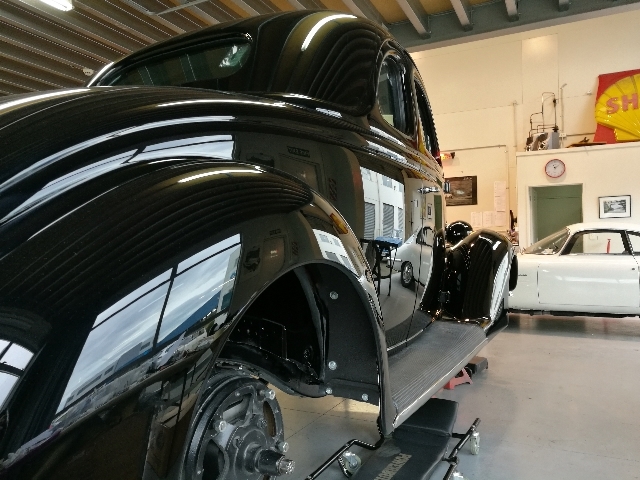 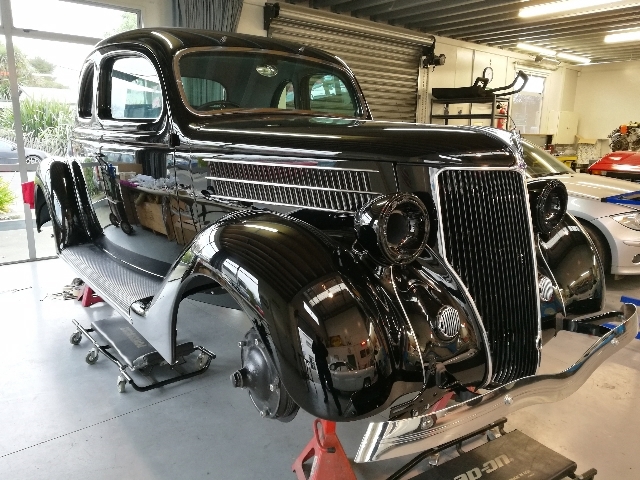 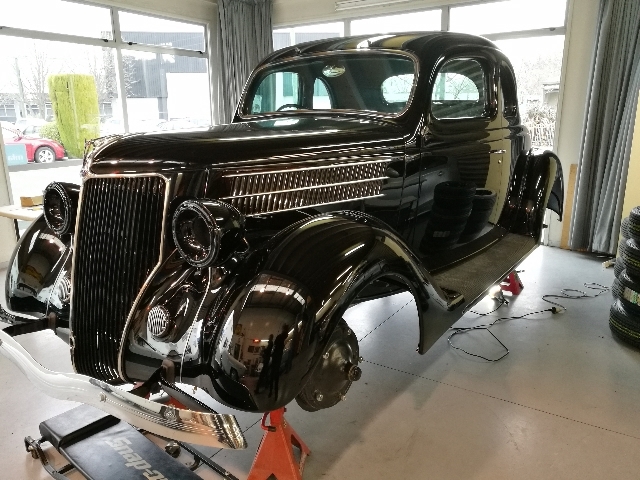 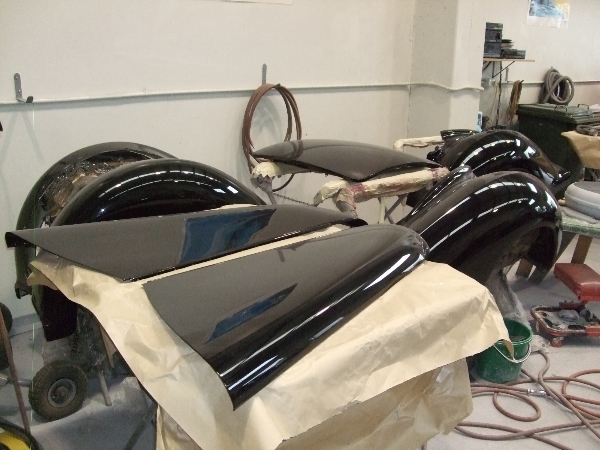 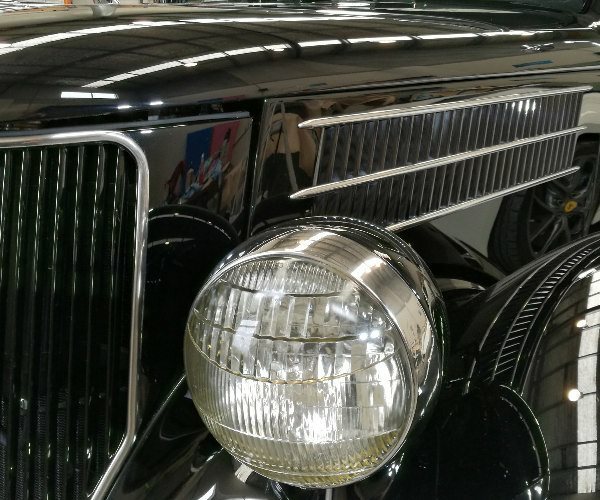 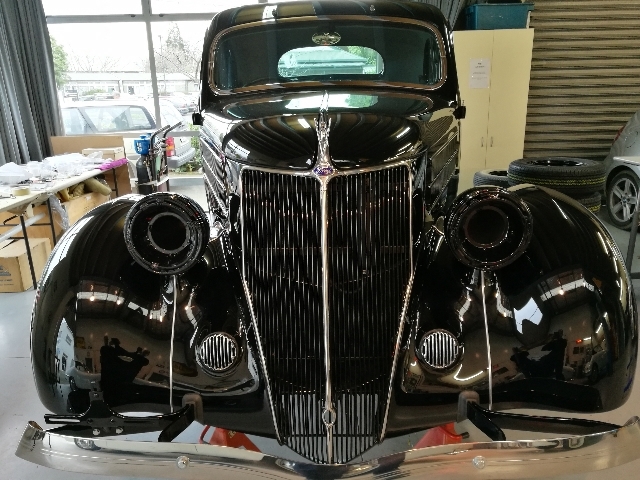 As we progressed with the job, our client decided to fully restore the car with a concours quality paint job a top priority. 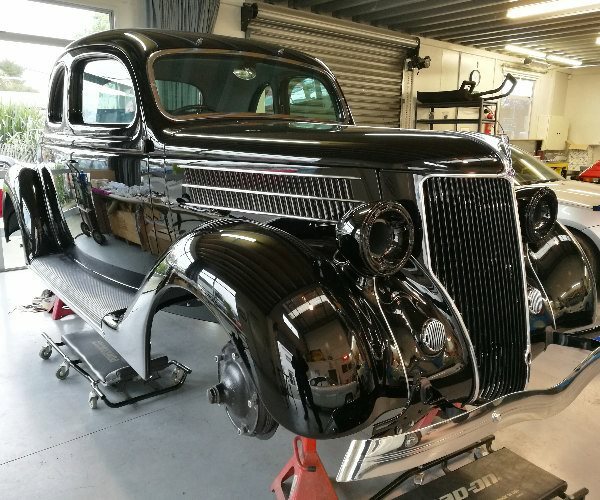 The car looks absolutely stunning in its deep black lustrous finish. 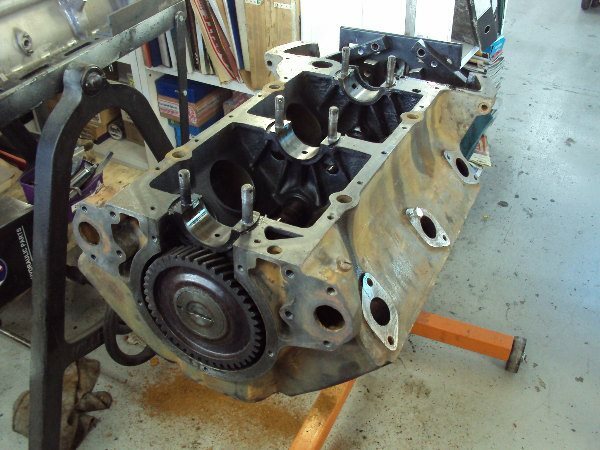 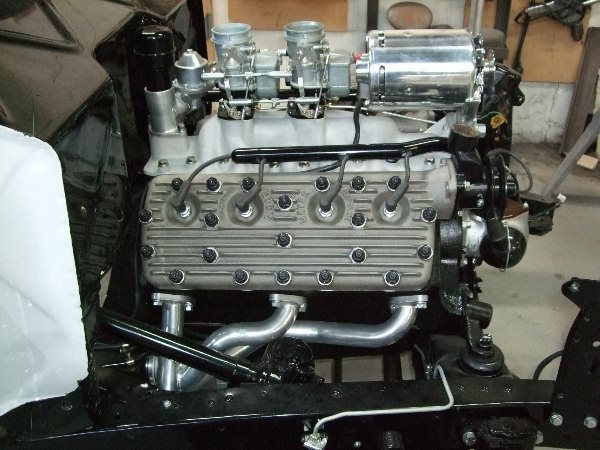 The engine has been uprated with twin carburettors, exhaust header and a few other tweaks. 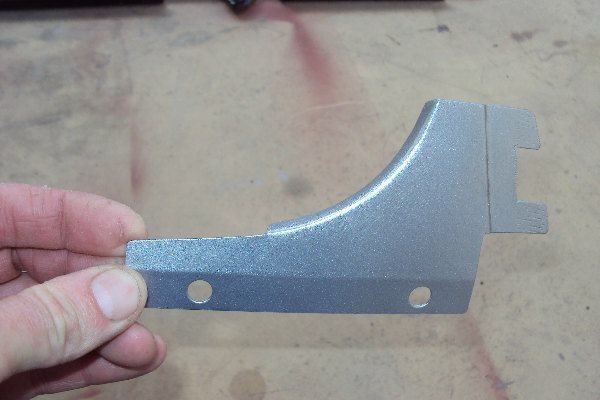 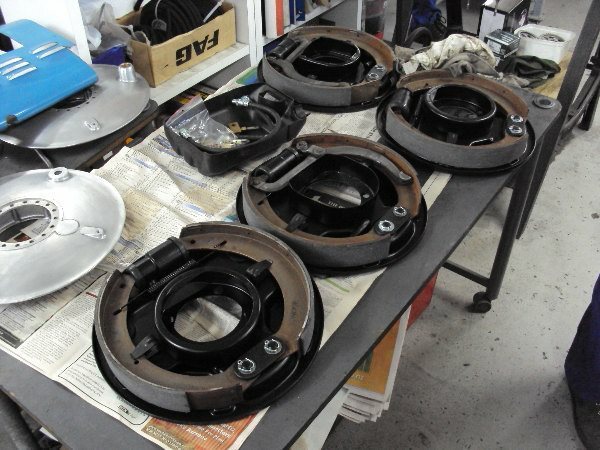 The brakes were also upgraded to improve stopping power. 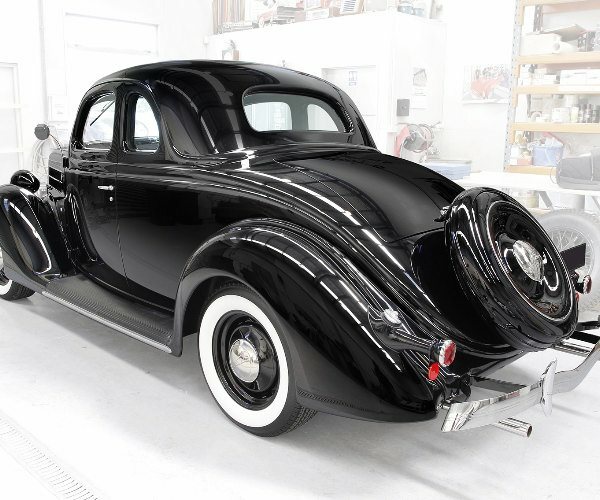 This would have to be the most beautiful 36 coupe in the country and is a credit to its owner.